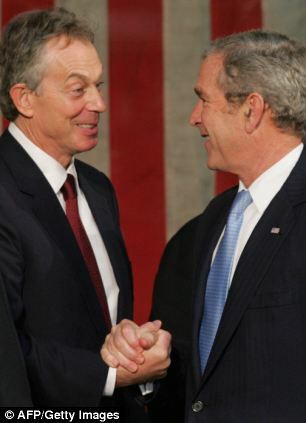 Norman Baker, a Home Office minister, accused the former premier of trying to block the release of secret communications between him and George W Bush. He has told Sir John Chilcot, who is heading the inquiry, of his deep concern at the length of time it is taking. A letter from the former Whitehall mandarin – seen by the Daily Mail – shows that publication of notes sent by Mr Blair to former US president Bush, and records of their conversations, is an issue. ‘We continue to work toward delivering our report to the Prime Minister at the earliest possible date,’ he told Mr Baker, adding that discussions ‘about the disclosure of sensitive documents are not yet concluded’. Mr Baker said he was dismayed by Sir John’s confirmation that Mr Blair’s messages to the White House are causing a delay. ‘The way the Blair government handled the Iraq war is perhaps the most shameful episode in the history of our democracy,’ he said. ‘The fact Tony Blair appears now to be holding up the proper release of information is a disgrace. 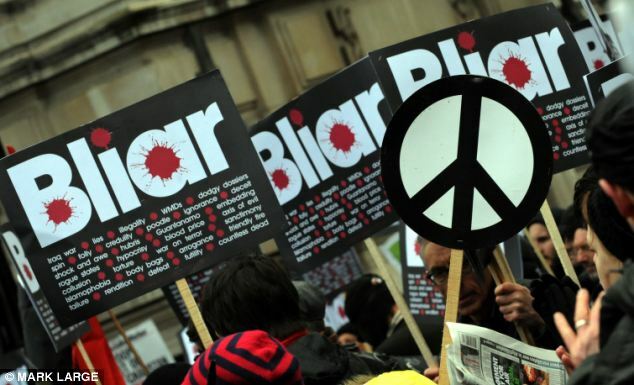 ‘We need the Chilcot inquiry report now – we need it out before the general election. David Cameron said last year he hoped the difficulties surrounding publication of the conclusions would be ‘concluded as soon as possible’. But the declassification of key documents – and the process that requires individuals criticised in a government-commissioned report to have a chance to comment – remain stalled. In a letter to Sir John, Mr Baker said he was ‘very concerned that your final conclusions have yet to see the light of day’ and pointed out that it was ‘more than a decade since the Iraq war occurred and therefore operational sensitivities must be long gone’. Mr Baker asked if it was true, as has been claimed, that the delay centered around the release of correspondence between Mr Blair and Mr Bush. Gordon Brown asked Sir John to investigate the conflict in 2009 and he last took evidence from a witness three years ago. Tory defence minister Andrew Murrison warned last week that the report will not be ‘very kind’ to Mr Blair, saying he was ‘not clear why it hasn’t been published already’. Mr Blair has firmly denied being responsible for the hold-up. ‘I’ve made it absolutely clear that when the report’s published is entirely up to them [the inquiry team]. ‘It’s not my decision at all… it’s the responsibility of the people who run the inquiry,’ he said.